First off is the channel manager. A good channel manager will run seamlessly using pooled inventory delivered by various online travel agents and third party booking sites. 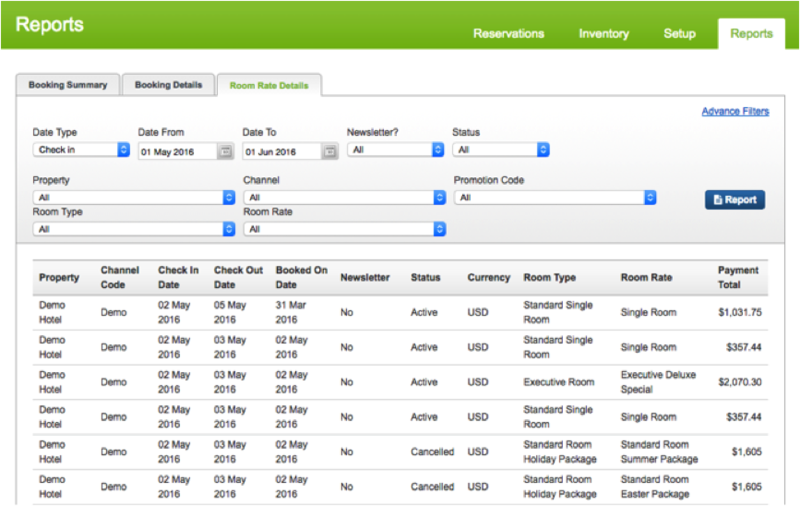 SiteMinder, for example, has 300 sources available to hotels. While it’s unlikely you’ll connect to all 300 at your hotel, even if you connect to 10%, that’s still 30 channels to analyse and report on – a big job for any busy hotelier. By choosing a channel manager with comprehensive built-in reports, you’ll gain faster and more effective insights into how your inventory is performing across all 30 distribution channels so you can chop and change as it’s needed. It’s critical to compare and understand how successful each channel is in terms of revenue – especially when you want to try connecting with a new channel for your market. Armed with these insights from your channel manager, you can adjust your strategy accordingly and make confident decisions on things like when to reduce availability, when to close out rooms, or when to increase rates on the channels that generate the least revenue in favour of those that are more profitable. Taking commission-free bookings is an important part of your distribution mix. Not only are you building a relationship with your guests direct, but you can build loyalty and secure great post-stay reviews. Your direct online channel should always be considered your most profitable – and if it isn’t you should review the effectiveness of your current online booking engine. Social media also comes into play, as a good online booking engine will allow you to sell rooms via the likes of Facebook. This is another great area for insights. You should be able to demonstrate how many bookings are coming from this social channel. An example from SiteMinder’s TheBookingButton. Armed with the insights from your booking engine data, you can have full visibility into whether or not your conversion rates are an issue, which promotions should run again, and how resources should be allocated to improve the mobile booking experience. Your online booking engine should fully integrate with your hotel’s website and the two should operate seamlessly together. Your website double as your most profitable online booking channel, as the two systems go hand-in-hand. A beautiful, fully-optimised website that looks great on desktop and mobile devices is the key to keeping prospective guests on your website for longer, securing a consistent stream of online bookers. Managing your website is a hard job and it can be made even tougher if it looks out of date and in need of some updates. If you don’t currently report on your website’s performance then chances are you need an overhaul of your website and its design. 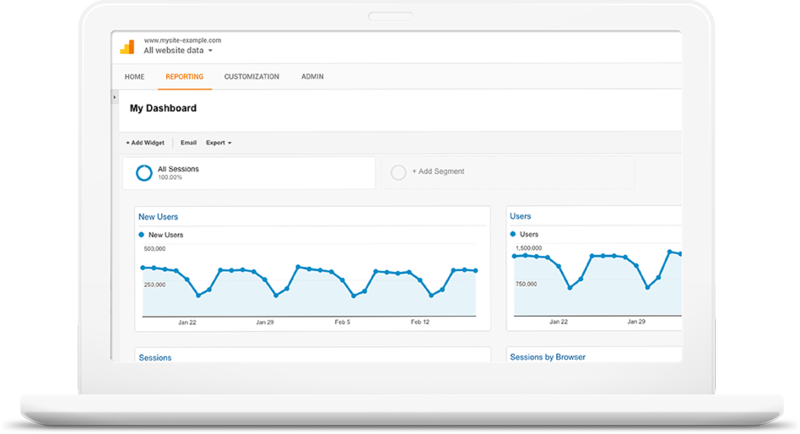 However, whether you’ve outsourced your site to an external web designer or its built using using other tools, you should be hooked into your Google Analytics account to monitor everything website-related. Armed with this data, you will have a fuller picture of who your guests are, and how they reach your website. You’ll then be able to implement tactics such as creating content about local tourist attractions to keep them on your website for longer and in turn convert them from lookers to bookers. Think about how you can use your everyday technology systems in your hotel to help take your data insights to the next level. Consider using the smaller, often overlooked pieces of data to give you a fuller picture - for example, your social channel metrics. Turn your data into compelling tales to better understand your guests and it will always pay off. It follow the timeless adage: knowledge is power. After all, data is really just information waiting to be understood. In this highly competitive market where hoteliers compete for the online guest, gathering, analysing and reacting to data can have a very positive impact on your hotel’s bottom line - but only with the right knowledge and technology in place to drive you (and your data) forward. As Executive Vice President of Global Sales at SiteMinder, Kevin O’Rourke is responsible for driving the sales behind they company's go-to-market strategy as well as its expansion into new markets around the world. SiteMinder is the leading cloud platform for hotels, empowering hotels to attract, reach and convert guests across the globe.